Well, isn't this something worth losing your diet plans on? 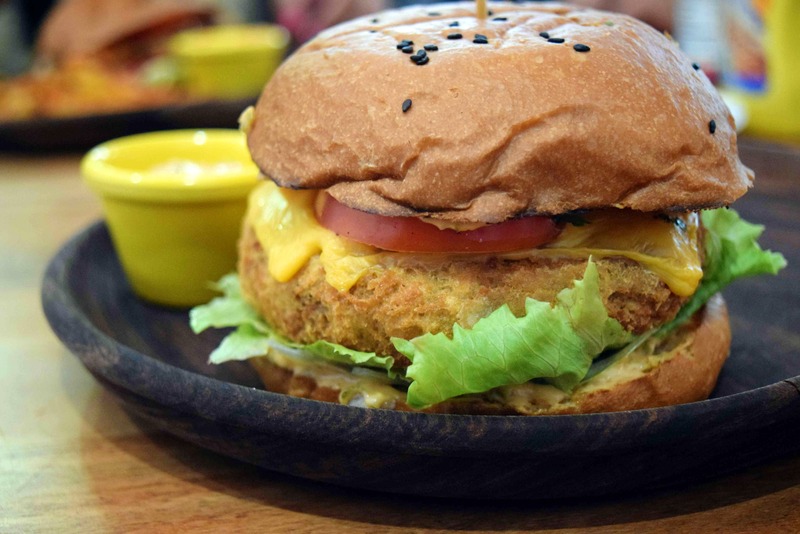 Cheesy, huge, crunchy and everything nice is packaged between two delicious buns and served as a perfect bean burger, which can be found only at Three Chicks and A Bear. This burger is highly underrated yet one of the best in town. Jumbo, Juicy Burgers & A Red Velvet Freakshake, Anyone?